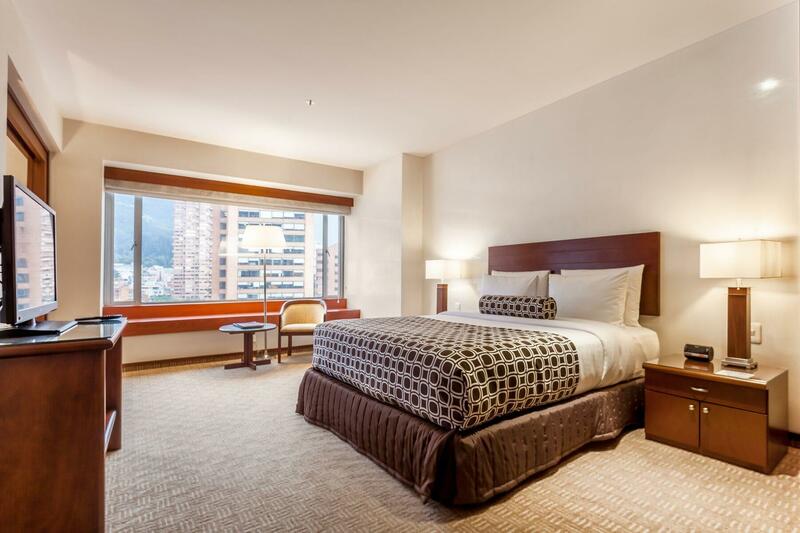 The 5-star Tequendama Suites Hotel features a fabulous location at the heart of the financial centre of the city of Bogota, really close to the historic centre of the capital. Our hotel in Bogota, located in the traditional Candelaria neighbourhood, features an unbeatable location, surrounded by the best local art and culture. Discover theatres, concert halls, exclusive restaurants, museums, art galleries. 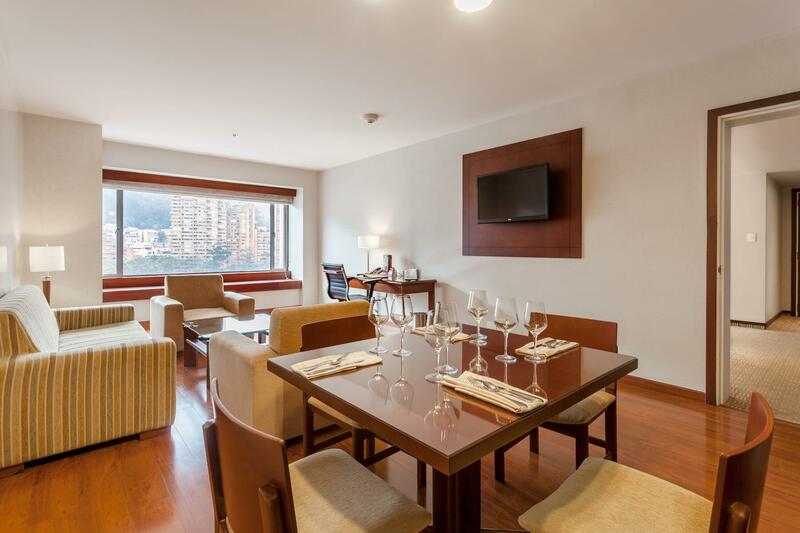 The Tequendama Suites Hotel, our hotel in Bogota, features 286 functional apartments of modern design from 60 to 142 square metres of space per room and equipped with all type of details that guarantee an exclusive stay to all types of clients. The Tequendama Suites Hotel, in La Candelaria, Bogota, features a 2600-square-metre terrace, cafeteria, a modern spa and 3 fully-equipped boardrooms equiped with a state-of-the-art technological equipment that guarantees the success of your events and business meetings in Bogota. The Tequendama Suites Hotel is the only hotel in Colombia with a heliport authorised by the Civil Aviation.